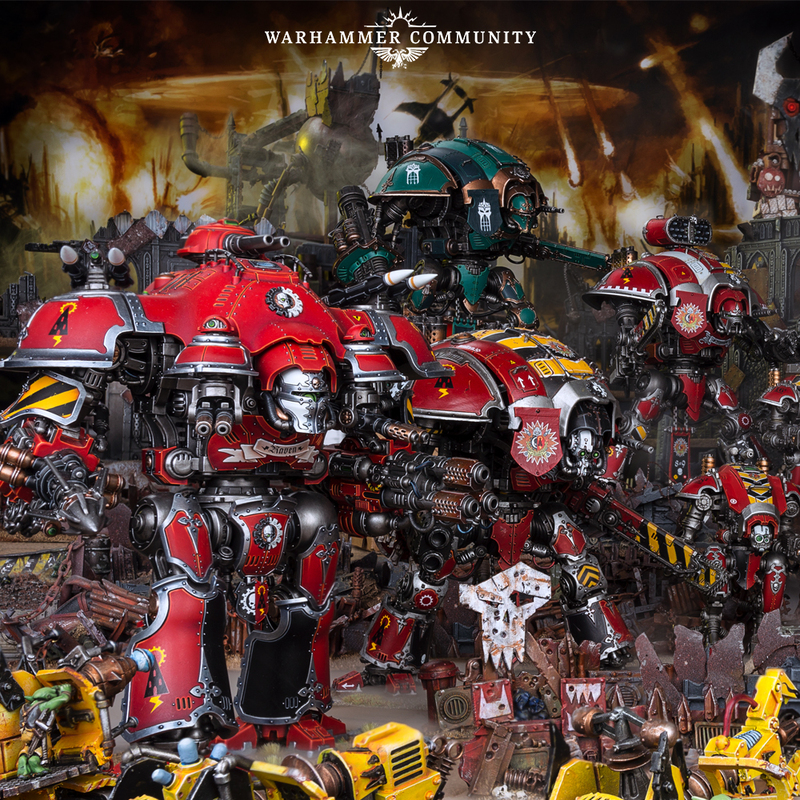 Adeptus Mechanicus, Imperial Knights, Astra Militarum and Thousand Sons: Awesome news for Imperial Knight players! Well, let's be honest. It's not just Imperial Knight players. It's Renegade Knight players as well. Games Workshop has seen fit to bestow upon us rules for Renegade Knights! Check out the Warhammer Community article today! You can access the PDF for Renegade Knights through this link. 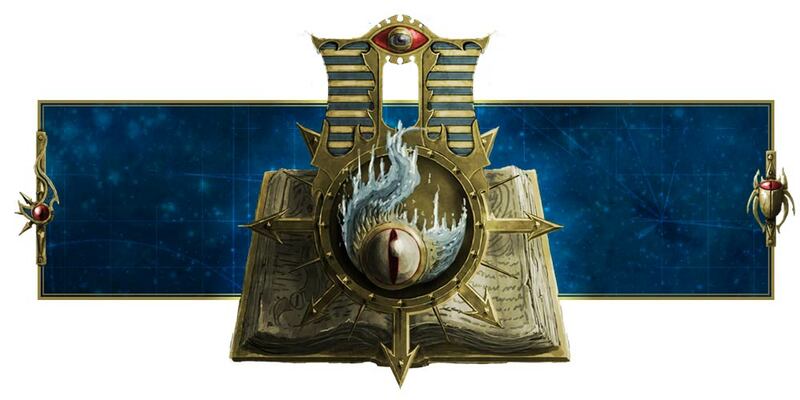 It gives you Chaos Traitors and heretics point deductions and rules to Questoris Traitoris. So now you'll be able to field Renegade Knights using the same number of points as us loyalists, and you still have all those customization that Traitors are allowed. So 2 Avenger Gatling cannons or whatever. No Knight Preceptor, funnily enough. Not only that, you can also field your Chaos Armigers (both variants) or Chaos Dominus-class Knights. So Chaos players can field a Renegade Knight Castellan or Renegade Knight Valiant if that pleases you. 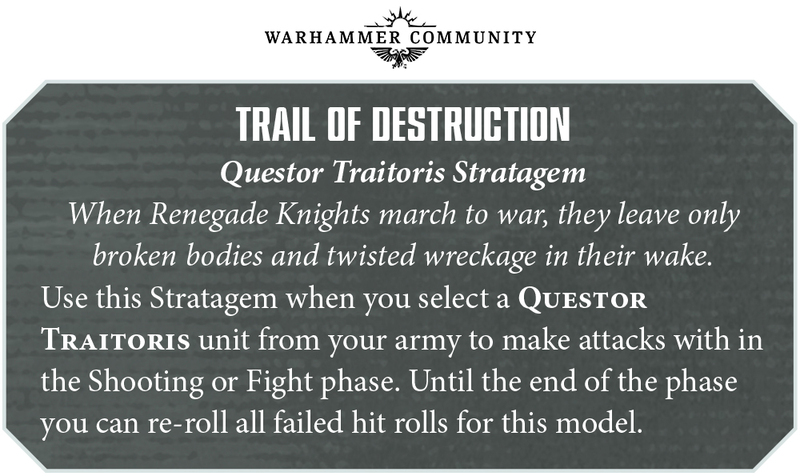 Furthermore, you have your own Questoris Traitoris Stratagem that costs 2 Command Points. You also get a Relic that's called the Traitor's Mark, which subtracts Leadership from enemy units 12" away, or 2 Leadership from enemy units 6" away from the bearer. Cool. So you get those two above, and more. Yay. Good for you, Chaos players. Celebrate! And what about us Loyalist Imperium players? Well, I've great news for you guys. Guess what? 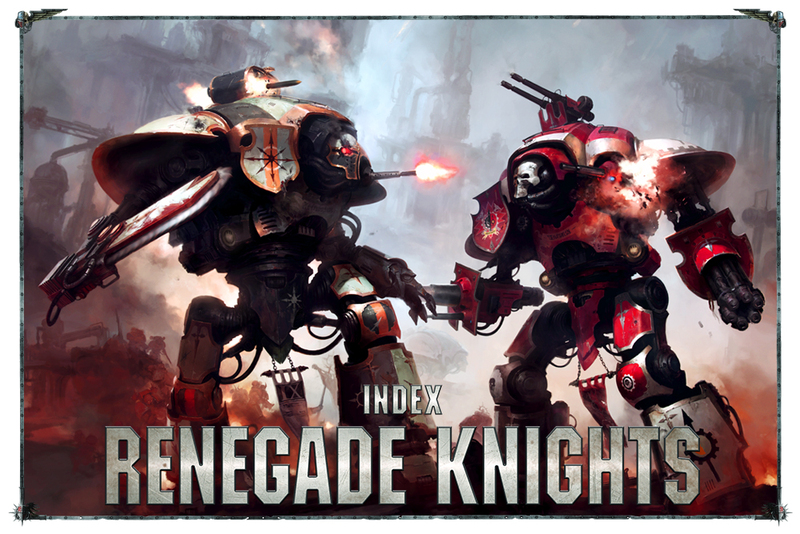 We have a FAQ for our Imperial Knights codex! This is excellent news, especially for people who play pure Knights! 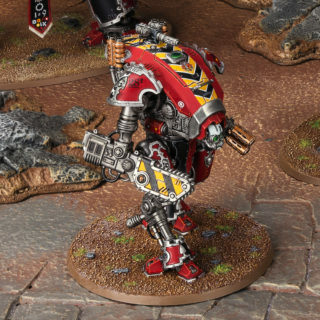 Basically, if your Super-heavy Detachment contains at least 1 Titanic Imperial Knight, you get 3 Command Points. 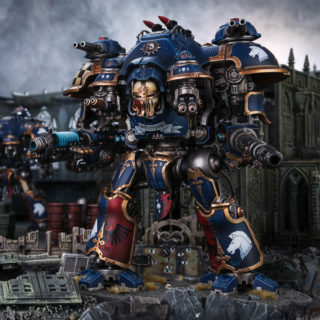 So you can add 1 Questoris-class Knight and 2 Armigers for 3 bonus Command Points! Sweet! And here's the kicker. If your Super-heavy Detachment contains three Titanic Imperial Knights, add 6 to your Command Points for a total of 9! Can you f-ing believe this?! HOLY EMPEROR! Our prayers have been answered! Thank you, God-Emperor of Man! Thank you so much! FOR THE EMPEROR! WOOHOO! YEAH! ...so what does this mean for me? I dunno. I can't build a Knight army until I get to the States. All I have is one Knight Crusader on hand, so I'll live with that for now. I'm planning to bring him to the States and build a Knight army around him and a Dominus-class Knight. With the 6 Command Points given us Knights now, this is gonna be awesome!